We’ve said it before and we’ll say it again: hitting the gym with a full face of makeup is not a great habit. You know the score: As you exercise, your pores and sweat glands open up to help the body cool down. Blocked pores can’t breathe – and quickly lead to breakouts. Nonetheless, the past couple of years have seen a host of established brands develop innovative new products aimed specifically for use at the gym, alongside the emergence of new labels directly targeting this particular demand. An inevitable extension of the athleisure trend we’re seeing everywhere from the high street to interiors, the most skin-friendly of these new makeup lines are non-comedogenic – meaning they won’t block pores. Among them is Tarte, whose gorgeous #hustleandglow trailer for its recent athleisure beauty line gave makeup fans serious exercise envy. Others take direct inspiration from gymlife itself: Think MAC’s recent collab with PUMA, resulting in a sporty sneaker collection to match a trio of legendary lipstick shades. But before we jump in to which products are on our trend radar, let’s first address the question on everyone’s apparently perfectly rouged lips: why? Why wear makeup to your exercise class and risk a breakout? Simply put, it all comes down to lifestyle. What if your only opportunity to exercise is during your workday lunch hour, with no time to remove and then re-apply makeup? Sometimes it really is a straight up choice between getting your workout on or taking makeup off. They say the only workout you’ll regret is the one you didn’t do, so in this instance, go ahead – don’t let a little makeup stop you from keeping your fitness goals on track! A second driver of no-sweat makeup is rather more complex. The very existence of the wider athleisure trend says a lot about how our aspirations are shaping where and how we spend our downtime. In other words, the gym! Gyms have become places not just to exercise, but to socialize. That could be at a class, or it could be over a protein shake right after. Because treadmills, weights areas or barre studios are no longer exclusively settings for solo slogs, inevitably, many of us are paying more attention to how we look – including makeup. So, for those days when the time constraints of work, childcare or whatever rule out a pre-gym cleanse; or you feel a slick of lipgloss and mascara would help navigate social encounters with more confidence, what are the products to reach for? Waterproof – and by extension, sweat-proof – mascara is nothing new. But until recently, finding a product that doesn’t leave lashes feeling crunchy, flakey and dry has been nigh on impossible. 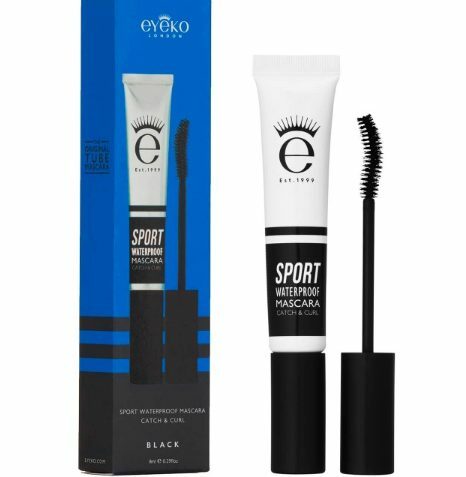 For keeping peepers pretty through even the most gruelling HIIT class, look to Eyeko’s nourishing Sport formula, which also boasts a curved brush for the most fluttery, voluminous of lashes. For reasons we know you already know, you definitely don’t want to suffocate those hard-working sweat glands and pores! So, if you must wear foundation at the gym, look for a product that delivers light or medium coverage. With that in mind, consider Clinique’s sports-friendly line, CliniqueFIT. 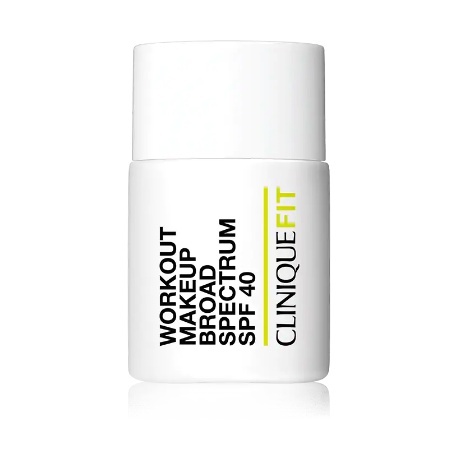 Its Workout Makeup Broad Spectrum SPF 40 lightweight formula creates a natural-looking matte finish – with impressive sun protection to boot! 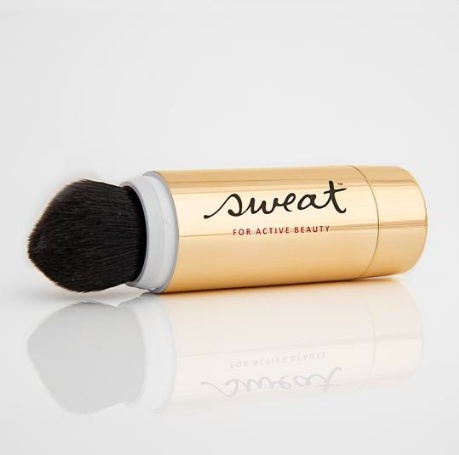 Catering specifically to active lifestyles is the very aptly named Sweat Cosmetics. All about breathable products, its mineral bronzer, Glow Hard, is 40-minute sweat and water resistant, plus boasts skin-safe SPF 25 sun protection. Its tapered twist-brush not only keep your makeup nice and clean, it’s also great for a contoured finish. We’re still firmly of the belief that it’s best to workout sans-makeup, but if you MUST, at least commit to an arduous post-workout cleanse that is important for keeping skin in shape. Because of its long-lasting charge, ultra-hygienic silicone material, and T-sonic pulsations that remove an impressive 99.5% of dirt and oil – including makeup residue – FOREO’s two-in-one cleanser and analyzer LUNA fofo is a great facial brush for keeping in your gym bag. But for when needs must, there’s no denying the current wave of athleisure makeup certainly has its uses. What’s your take on wearing makeup to the gym: a big no way, or hip-hip hooray? Let us know in the comments!